Trust the name you know - Bartlett Kiln Controls! Stephen Plant purchased Eagle Valley Pottery back in 1970 and soon turned it into The Pottery Plant. By 2001, the Pottery Plant had morphed into Heaven In Earth Pottery, which it remains today. 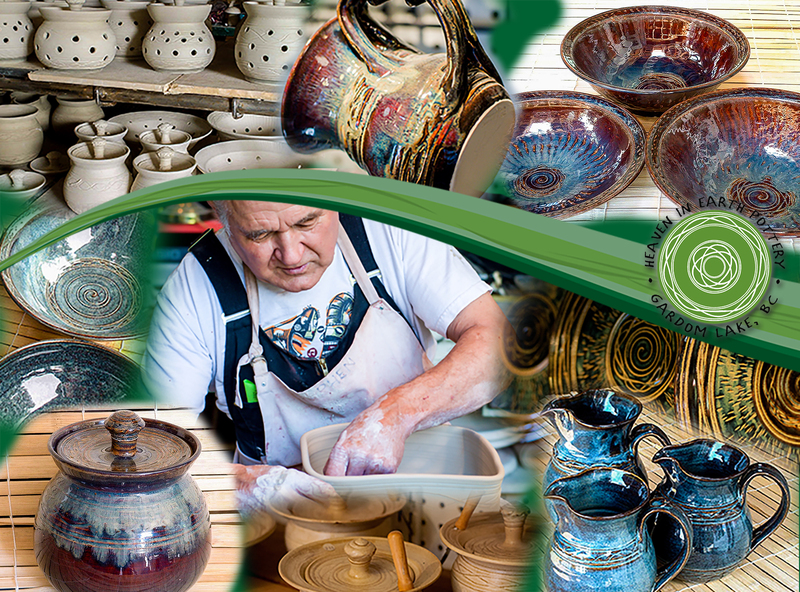 He has worked primarily with clay throughout the years, creating a variety of pottery with spectacular glazes. Over the years, he’s used a variety of methods for firing, starting with an old front loading kiln and leach treadle wheel, to Raku wood firings, to the electric kiln with digital technology he uses today. My experience with Bartlett Kiln Controllers has given me respect for the intelligent application of technology to control the firing curve. I also appreciate the new glazes that digital technology now makes possible. I go back to the days of hand recording and a percentage timer for heat control in an old front loading electric kiln. I would graph the firing curves on paper so I particularly value today’s KISS software which is my “flight recorder” providing graphs for quick analysis and detailed records, which can be helpful with certain error messages and firing problems. These graphs enabled me to reproduce my “Aurora” glaze after an accidental misfiring. Bartlett has always been there with prompt answers to my sometimes urgent calls. Most problems occur outside the controller and can be traced with its help (error messages) and information from the data recorder. Connecting a computer to your kiln costs money and time (and some shielded wire or Wi-Fi) but you may find it an invaluable aid when solving firing challenges and exploring the world of glazing with the aid of accurate reproducible results. Thank you Bartlett Instruments.